Tables full of turkey, stuffing, and cranberry relish are slowly fading in our rear view mirrors and I truly hope you all had a fabulous Thanksgiving! I am thrilled, however, that the Christmas season has officially begun! Our house is decorated, our kids have started on our favorite Christmas Book Countdown, and my brain is working overtime planning holiday baking and festive gift ideas. 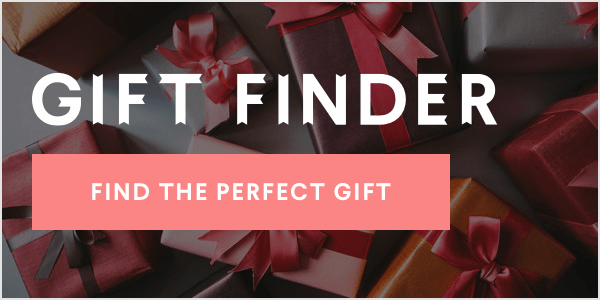 It's the gift ideas that we'll be chatting about today, my friends. Today, we're making some very simple but amazingly scented Homemade Mulling Spices in sachets! This is a simple project that takes only a few minutes to put together, but makes a great hostess or teacher gift this season. 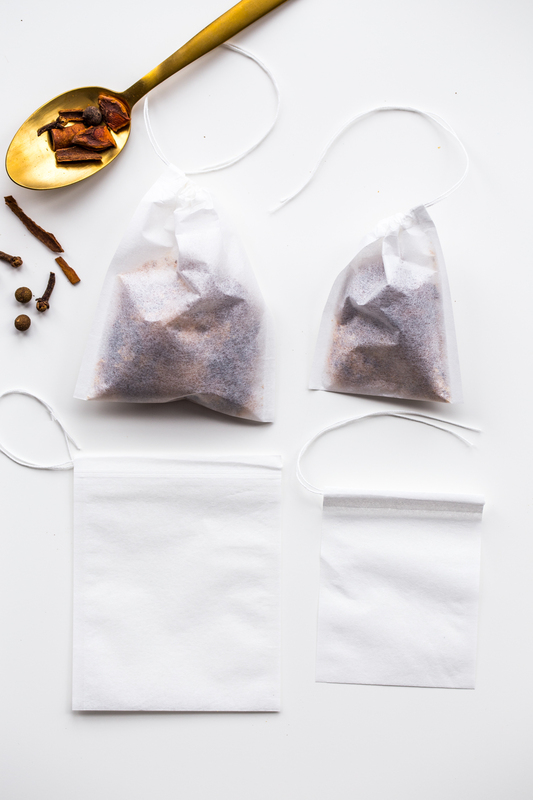 Or, just make a bunch of these homemade mulling spices in sachets and keep them in your own kitchen to jazz up a pot of apple cider or better yet, a pot of mulled wine! After a bit of testing, I decided I loved the combination of cinnamon, star anise, cloves, allspice berries, and dried orange peel. I was able to find star anise that were not processed with nuts up at World Market, but there may be other resources out there that are safe, as well. To keep things easy breezy when using the spices, I decided to spoon my mixture into these fillable, tea bag sachets that I found on Amazon. They came in a variety of sizes but I picked a small and large version. The small bags are great of individual cups of cider and the large are perfect for a pot of cider or of you are making a batch of mulled wine *yum!!*. If you only want to pick up one size of the bags, I would go with the small because you can always through a couple of the sachets into a pot if you'd like! 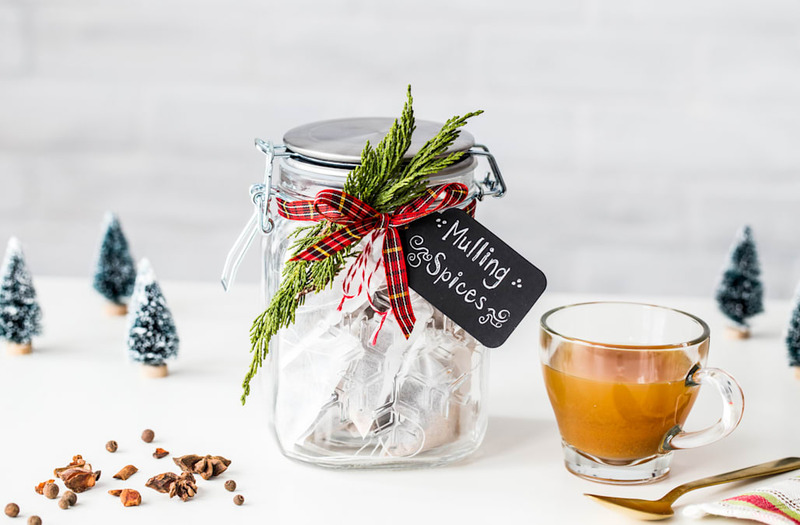 If you are someone you know loves spiced apple cider or a beautiful warm mulled wine, these Homemade Mulling Spices in sachets will make the perfect gift this Christmas. Crush cinnamon sticks and star anise in a mortar and pestle until pieces are small and uniform (about 1/4 inch pieces). Stir together crushed cinnamon sticks, crushed star anise, whole cloves, allspice berries, and dried orange peel in a bowl. Spoon 1-2 teaspoons of spice mixture into fillable tea bags and tighten draw strings. Store filled mulling spice sachets in an air tight container. 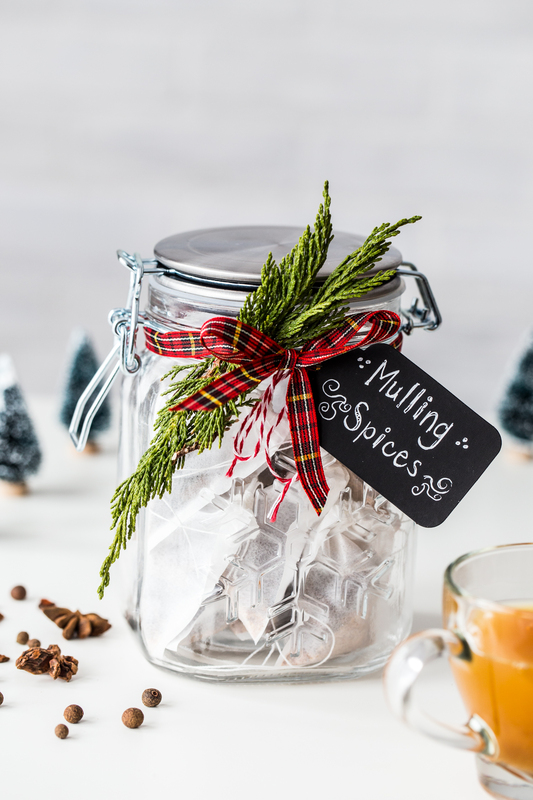 Place a mulling spice sachet into a pot of apple cider or wine while heating. Remove sachet before serving. Notes: Cinnamon sticks and star anise can be placed in a zip top bag and crushed with a rolling pin of you do not have a mortar and pestle. 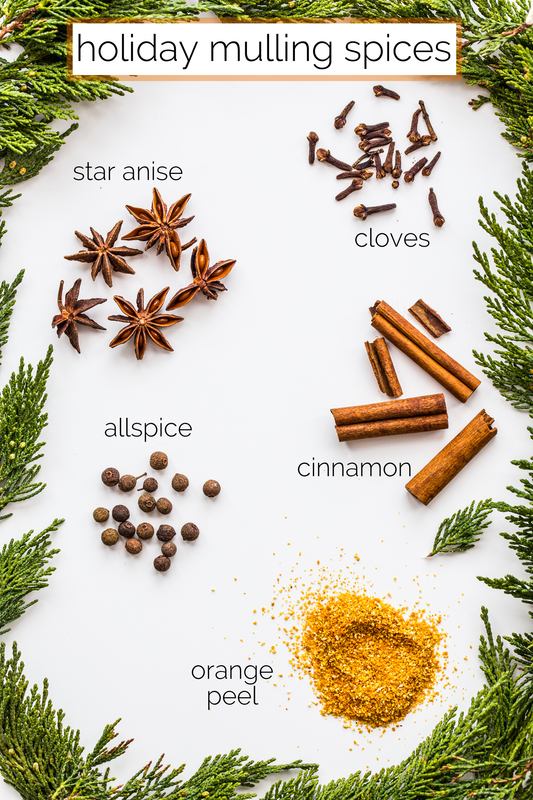 The post Homemade Mulling Spices | DIY Gift Idea appeared first on Jelly Toast.